I don’t know much about perfection. What I do know is that the closest thing I’ve felt to perfection in this world is when you’re completely in love with someone, and he, with you. That no matter what happens, you know you’ve got each others’ backs. That is the most reassuring feeling in the world. So a lot of you have probably heard this story before, but for those who don’t know, you’re about to find out how I met my boyfriend, 5 long years ago! I was 17 years old, lonely and rather aimless in life, searching for things to fill my time with everyday. Thanks to my friends’ influence in school, I picked up a first person shooter game called Left 4 Dead. I was looking for someone to play the game with online, when I came across this person named DaNang. I didn’t think much of him, to me, he was like any other player in the virtual world: just another pixel. We played a couple of games together, and from there on, we started chatting more frequently because I thought he was nice enough and had a good sense of humor. We were both not particularly good at the game either, so it was fun having someone else to figure out the game by your side. Our conversations in game eventually turned to Skype calls, where I saw him on camera for the first time! 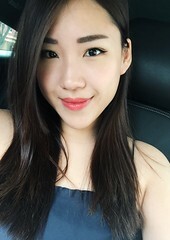 We talked online everyday for a few months, before he suddenly surprised me with the suggestion that he would like to make a trip to Singapore to visit me. He’s an Australian (but Vietnamese in ethnicity) and had been living in Melbourne all his life. Both taken aback and terribly excited by this idea, I told him I couldn’t wait to see him in person. For the next few weeks and days, I couldn’t keep these thoughts out of my head: What if I don’t like him in person? What if he’s not as funny or charming in real life? What if he has body odour?? What if he’s a serial killer?!? So many thoughts raced through my brain. Thoughts of infatuation, excitement, hope, and fear. Fear of getting my heart broken again, but yet I still had hope that this would turn out to be something good. I know mama always told me not to talk to strangers and give them personal information, ESPECIALLY on the internet, but I seem to enjoy breaking those rules. Sometimes, when you step out of your comfort zone, you get rewarded for it. 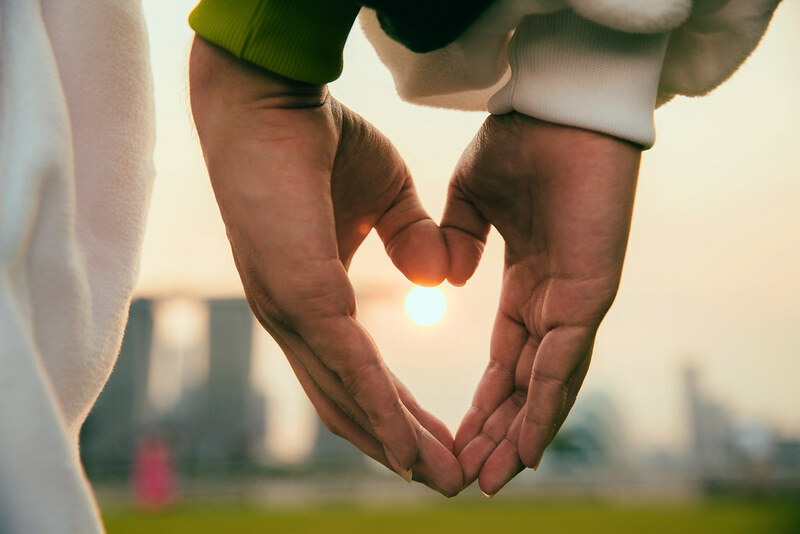 So after much anticipation and months of endless flirting and chatting, he arrived at Changi Airport, where I greeted him with a nervous smile and a friendly hug. At this point in time, we were obviously not “dating” per se, so I did not want to be too close. I kept my distance for awhile, but after warming up to each other, I realized he’s actually an even better person offline than online. No more overnight Skype calls that lasted for hours and hours on end. No more staring at the screen, wondering what it would be like to hold his hand, or to touch his face, or to hear his laughter in person. Everything felt so surreal, like he popped out of a fairytale book (in this case, a computer screen) and jumped into my life. 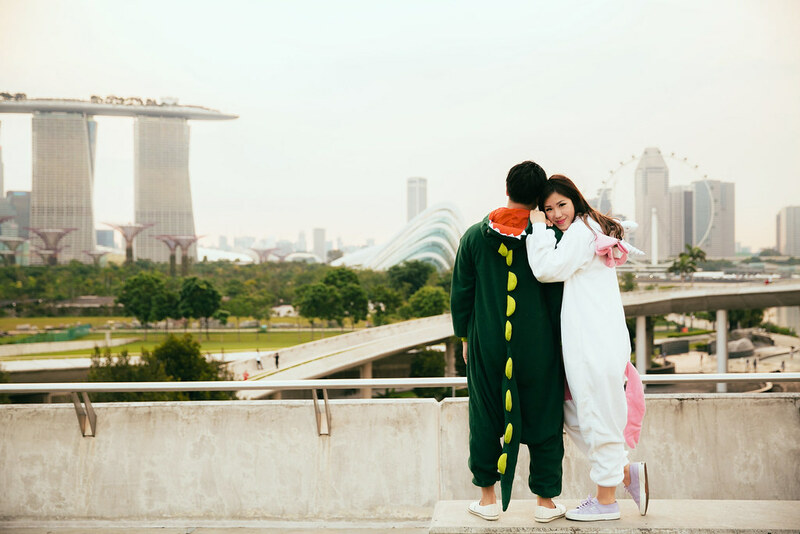 We went on many dates throughout the 2 weeks he spent in Singapore and I had an awesome time bringing him to our popular spots like Night Safari and Singapore Flyer! The beginning of our relationship was everything it should’ve been. Butterflies in my stomach, romantic words exchanged too many times a day that it made other people nauseous, pure devotion to each other and most importantly, the willingness to love and make things work, despite the long distance factor. Everything was wonderful, except the fact that we lived oceans, mountains and countries apart. An 8 hour flight journey apart, to be exact. That was no easy feat. If you’ve ever known anyone in a long distance relationship, they’ll tell you it’s one of the most difficult things they’ve done. It breaks your heart. The nights never feel lonelier or longer. It questions your faith and strength after awhile, and it never gets easier, only harder. Many times, Sam and I contemplated giving up on what we had. We weren’t emotionally ready for that sort of roller coaster ride, I guess… what with me being so young and all. I asked myself if I really wanted that sort of commitment, when I hadn’t even turned 20 years old. What did I think I knew of love, to dive into something so serious and heavy? I don’t know what it is that made us grit our teeth and pull through the crappy times in our relationship, but I’m seriously glad things somehow worked out in the end. I’ve learned so much from being in this relationship and it has completely changed me as a person. 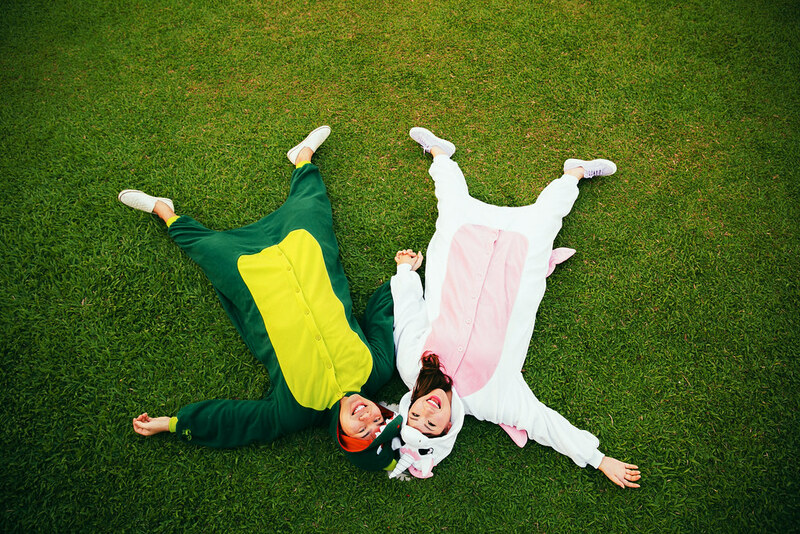 Fast forward 5 years later, we raise adorable little bunnies together, we live together, we cook together, we bake together… everything I do, he’s right by my side. We complement each other in ways that makes the universe make sense. We’re completely different in many ways, yet freakishly alike in others. Like the way my boyfriend gives me strength and support, bringing out the best in me, Estée Lauder has a perfect duo of their own. 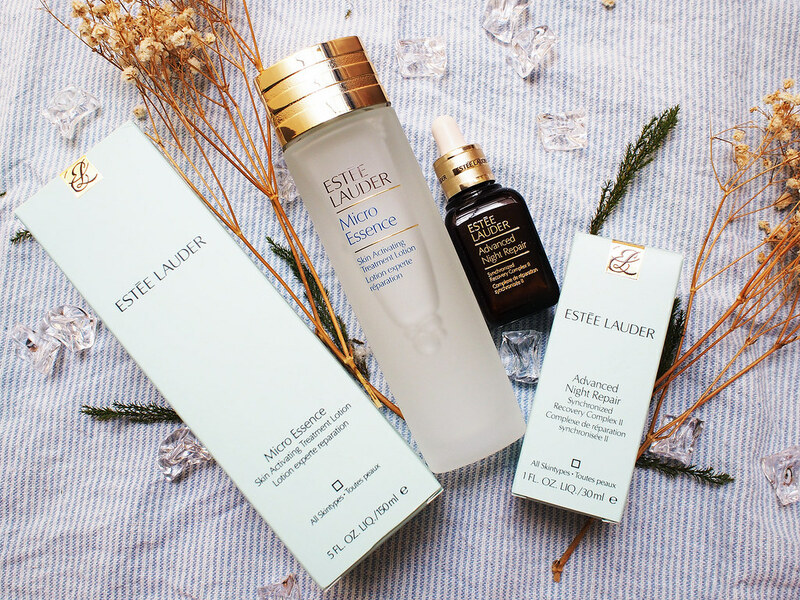 When used together daily, I have noticed Estée Lauder’s Micro Essence and Advanced Night Repair works brilliantly to help me achieve radiant skin. 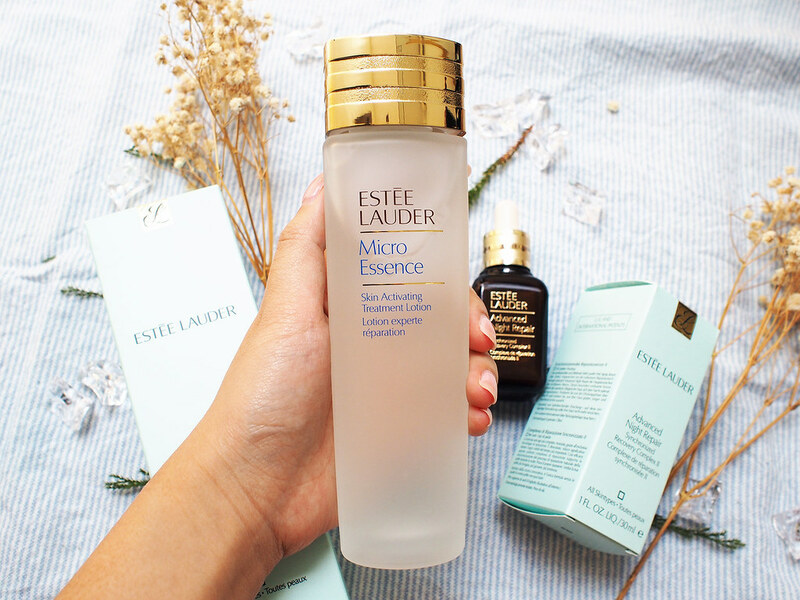 Estée Lauder’s Micro Essence is a first of its kind, high performance “essence-in-lotion.” From the very first use, my skin felt more hydrated and radiant, with enhanced clarity. In two weeks, my skin’s texture is more refined. Used day after day, Micro Essence has aided my skin to become stronger at its foundation and more resistant to signs of aging, which has ultimately resulted in my skin looking and feeling more youthful. My skin appeared healthy and emanated a glow from deep within! How to use: With your hands: Pour 5 or 6 drops of Micro Essence in hand and rub hands together. Gently press the Micro Essence into skin from the center out. Start at chin and move upwards to cheeks and forehead. Rub hands together to warm, and then gently wrap face using warm hands to complete application. I love using the Micro Essence because it’s given me noticeably more translucent looking complexion in a matter of weeks, and the texture of this lotion feels awesome on my skin! Not a fan of applying creams or serums that feel too sticky or heavy, this lotion is adequately hydrating and even though I don’t have any noticeable wrinkles yet, I believe that prevention is better than cure, so I’m gonna go ahead and start using anti-aging products while I’m still in my early twenties. 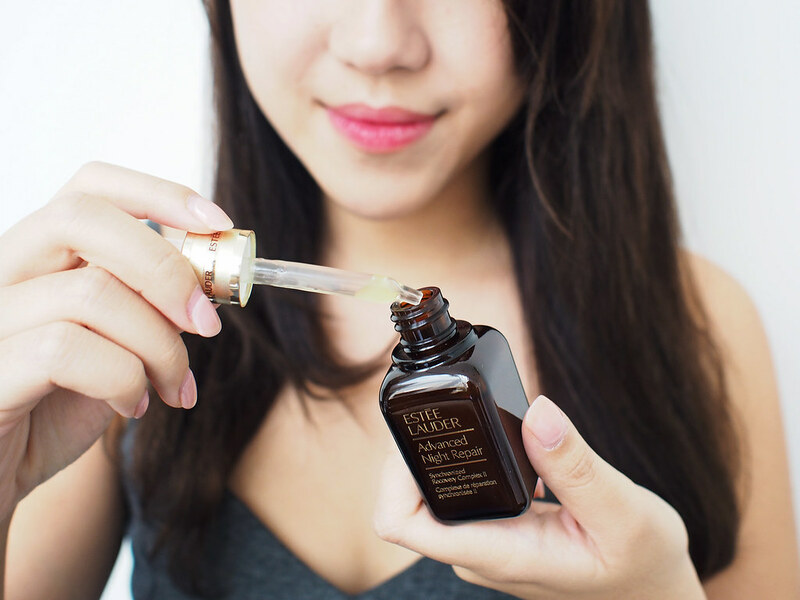 Starring alongside the Micro Essence, my regular usage of Estée Lauder’s Advanced Night Repair reveals a smoother, more radiant, younger look while waking up to more beautiful skin every day. 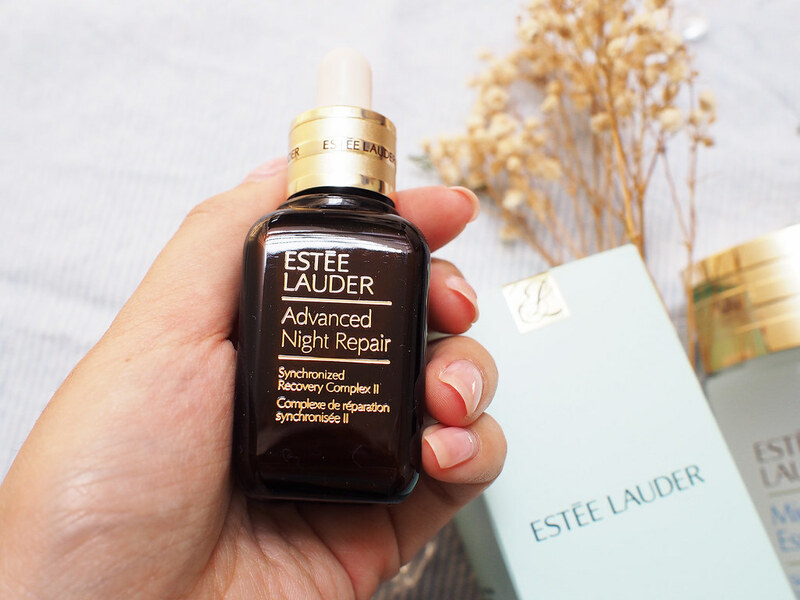 Advanced Night Repair has proven to dramatically reduce my key signs of visible aging. It maximizes the power of my skin’s natural nighttime renewal with the exclusive ChronoluxCB™ technology (with more than 25 patents and patents pending worldwide). It’s also great for every ethnicity and reduces the appearance of lines and wrinkles, leaving skin feeling smoother, hydrated, and more even toned. How to use: As a nightly ritual, apply a drop on each fingertip of one hand. Touch fingertips of both hands together, and massage serum over face and neck, starting at the center, then smoothing it outwards. 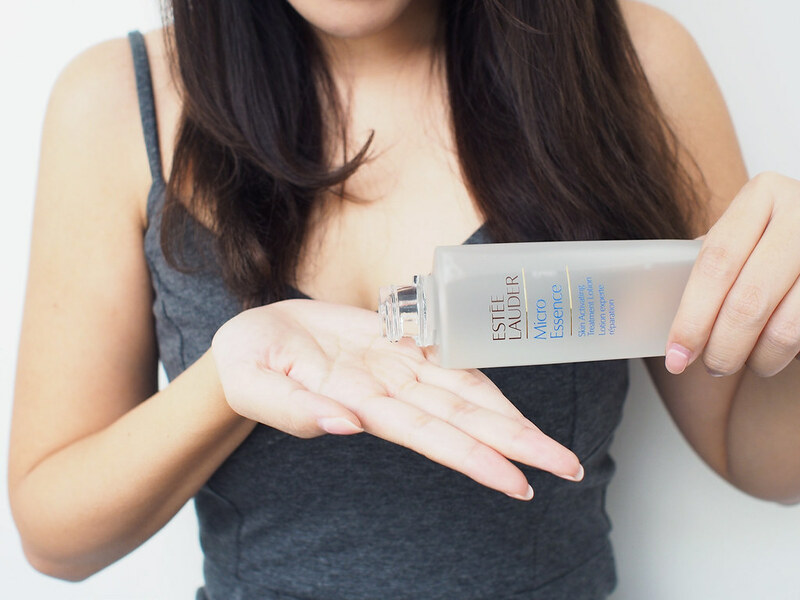 My mum is a big fan of Estée Lauder, and she got all excited when she saw this bottle on my vanity desk because she’s been swearing by this product! She’s probably the biggest believer of skincare products of any woman I know, so a testimonial from her is one I take seriously. I would strongly encourage anyone to use both the Micro Essence and Advanced Night Repair together to experience the synergistic repair qualities, which actively transforms your skin from within. I’ve entered a Perfect Duo contest on Her World Plus, and I’d absolutely love if you’d take a moment to vote for our video entry as seen below! Alongside other awesome blogger friends like Yina, Jessica (Tippytapp) and Juli, we’ve come up with short videos about definition of a Perfect Duo, inspired by our recent discovery of Estée Lauder’s Perfect Duo beauty products. You can stand a chance to win Estée Lauder’s Perfect Duo products by voting for your favorite video at this link! If you enjoyed our little montage, I’d really appreciate if you could give us your vote. Sam voluntarily helped me edit & do up the video entry from scratch from his collection of our photos & videos together, knowing how awful I at doing videos, which I thought was really sweet of him. This would not be possible at all without his help and support. As Augustus Waters had recently taught me, the world is not a wish granting factory. 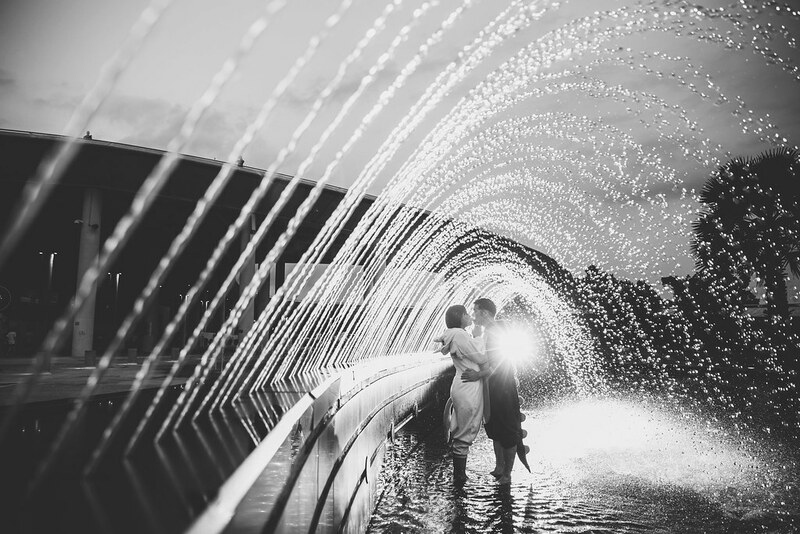 5 years on… I realize that no couple was made perfect for each other, and no relationship is without its threatening problems, no matter how great your attraction and affection for each other may be. People just try their darnest to love, and to be loved. Hopefully, that is enough. Thank you Samuel from Pixioo Photography for capturing us in our essence. 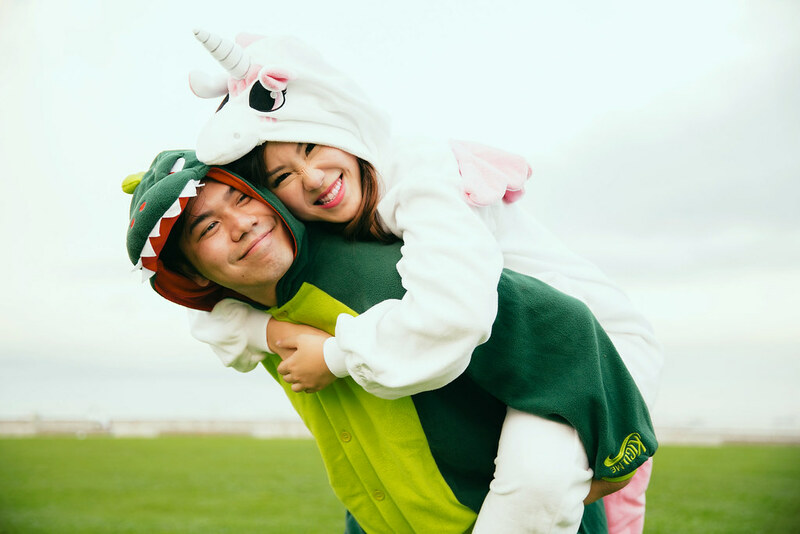 It was a last minute, quickly put together sort of thing that happened so quickly… but I think the spontaneity of the situation turned out well, because he managed to capture us being totally silly, which is what we are whenever we’re together. 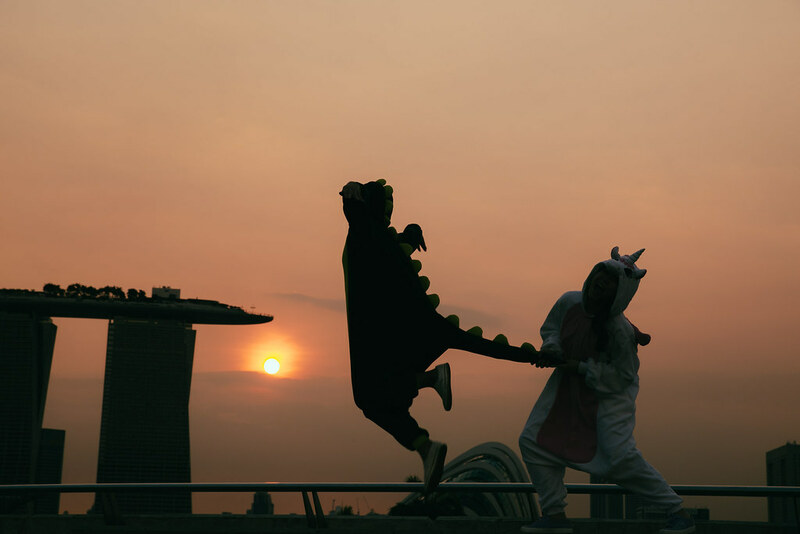 We had so much fun running around Marina Barrage completely drenched in perspiration underneath our heavy and thick unicorn / dinosaur onesies. Despite the strange looks we got throughout the evening, I couldn’t stop grinning the entire time. Quote “Shiberty” to get 10% off all Pixioo Photography services! This year, the boyfriend and I spent 90% of our Valentine’s Day slaving away making macarons & cakes for other people until we forgot to even eat and have our regular meals.. so we ended up not really having any plans at all, except for a pretty rushed dinner together. 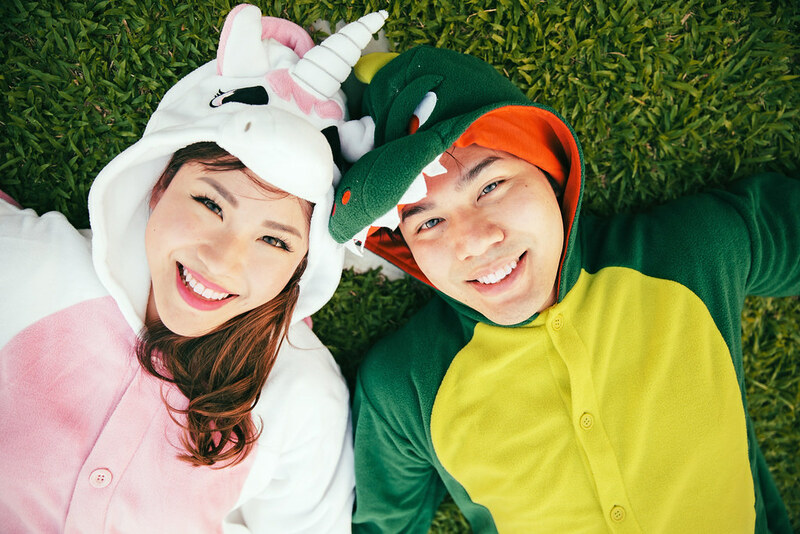 We don’t make a big deal out of V’day anymore, considering since it’s our 5th one together by now – we’re getting more practical over the years. Flowers and fancy dinners are just too expensive and unnecessary. 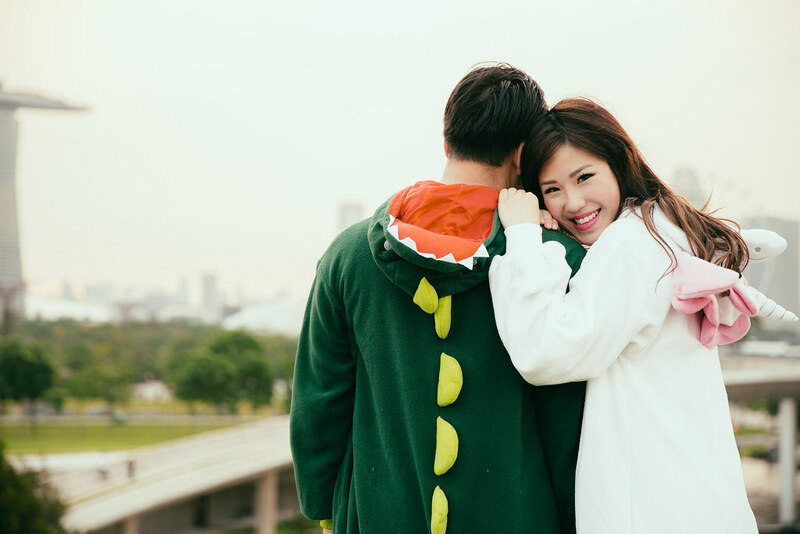 (I can’t believe I’m saying this) Still, I wanted to have something to remember this Valentine’s Day by… so I arranged for a couple photoshoot (without him knowing anything) and surprised him a few days before the 14th of February! In all our time being together, Sam and I have taken thousands of photos together. I’m extremely trigger happy and I make him pose for photos for keepsake & blogging purposes all the time. But we’ve never actually taken proper photos with a professional photographer together – something fancy, something planned, something we can frame and put on the wall. 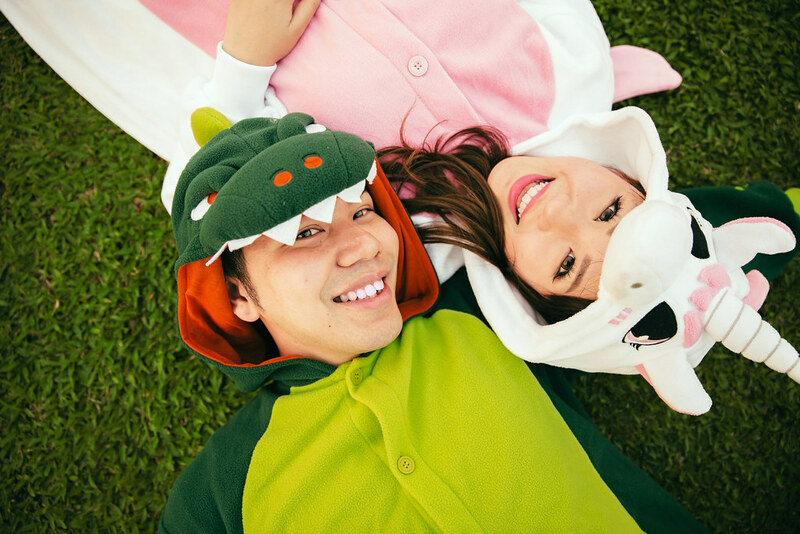 Who says you have to be engaged or married to take a couple’s photoshoot?! 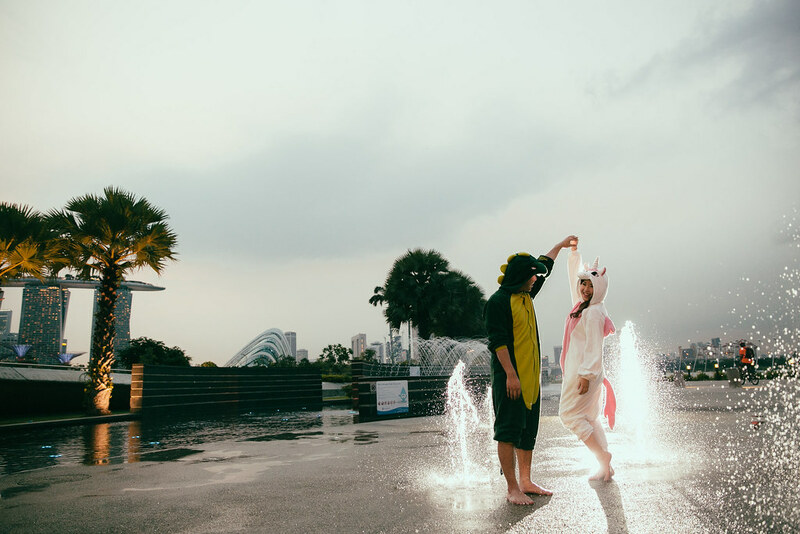 I made him dress up, sneakily pretending we were going on a date, when really we were going to Chijmes to snap away for an hour (that was really all we could spare out of our crazy hectic February schedule) and I’m so happy we did this because I wholeheartedly adore the photos. I can’t wait to get them printed!!!! These are my top picks from the whole shoot, but the first one’s my absolute favorite. I could stare at it all day and smile to myself. The corners of my lips can’t help but turn upwards every single time I see this. 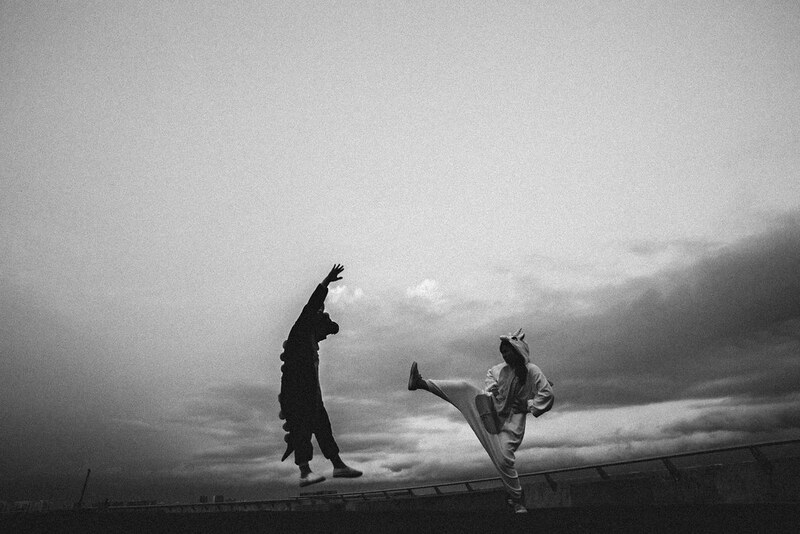 Photography by the wonderful Ace Chia. Thank you so much for capturing these moments for us, Ace!!! You were a joy to work with. 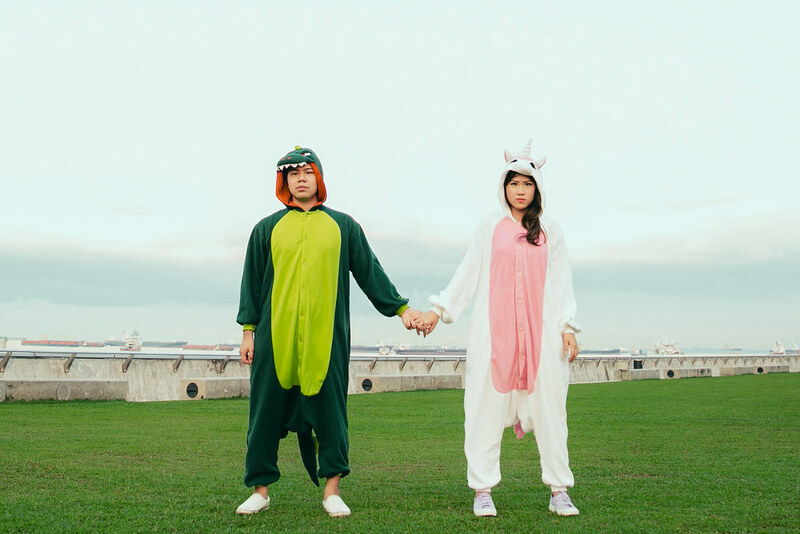 This is Ace’s first couple photoshoot and we’re honored to be her first lovey dovey subjects. She normally does fashion photography, but we decided to switch things up a little because V’day was just around the corner. I am so thrilled to have the opportunity to collaborate with this talented young lady on more than one project, and we had a lot of fun even though it was the first time we’d met! Sam is still kinda stiff when it comes to posing in front of the camera (understandably), but we have more shoots in the planning so hopefully he loosens up in time to come. Happy 5th Valentine’s Day together, Sam. We’ve been through so much together, it’s mind boggling. We’ve went from gaming friends on opposite sides of the globe to having a house together, from riches to poorness to building a business, confusion to bliss to misery to stability & comfort, and even though we scream and fight all the time…. You’re still my Valentine. To have and to hold, always.